To say we’re detail-oriented is an understatement. 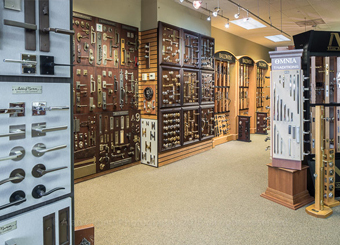 We’ve built our business and our reputation at WalterWorks Hardware by helping homeowners and trade professionals find the perfect hardware for every detail in their new home or remodel. 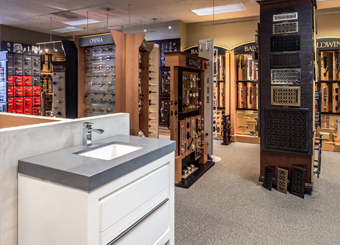 We offer a vast selection of hardware and fixtures from the most respected manufacturers in the industry and the experience and customer support to match. We’ve earned the trust of homeowners, remodelers, architects, designers, and contractors in Maryland, Washington, D.C., and northern Virginia, including Annapolis, Columbia, Baltimore, and Easton. WalterWorks Hardware serves homeowners, contractors, plumbers, remodelers, architects, designers, and trade professionals in Maryland, Washington, D.C., and northern Virginia, including Anne Arundel County, Baltimore County, Howard County, Talbot County, Queen Anne’s County, Prince George’s County, Calvert County, Montgomery County, Arlington County, Kent County, and Fairfax County from our Annapolis showroom. For more information, please call 410-263-9711 or contact us to speak with a WalterWorks Hardware expert.